But I do know one thing. I know what is “me”. And somehow that works. 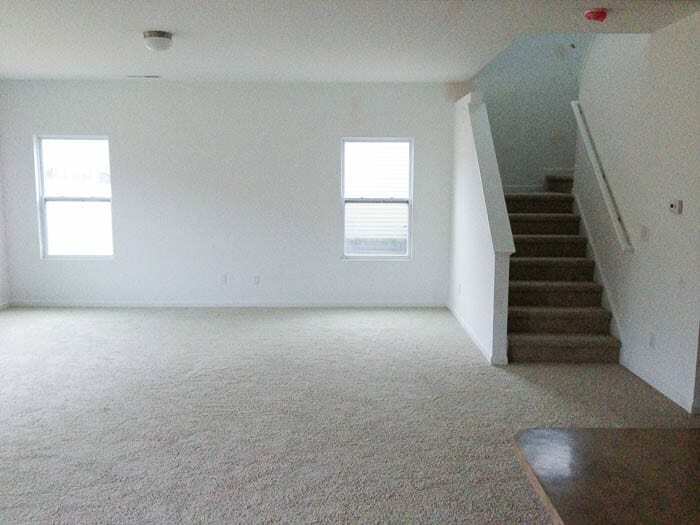 This is honestly a hilarious post for me to write because 5 years ago, I felt so lost sifting through my overflowing Pinterest boards as Robert and I were about to move into our first house. Wouldn’t you feel overwhelmed too in this big blank slate? 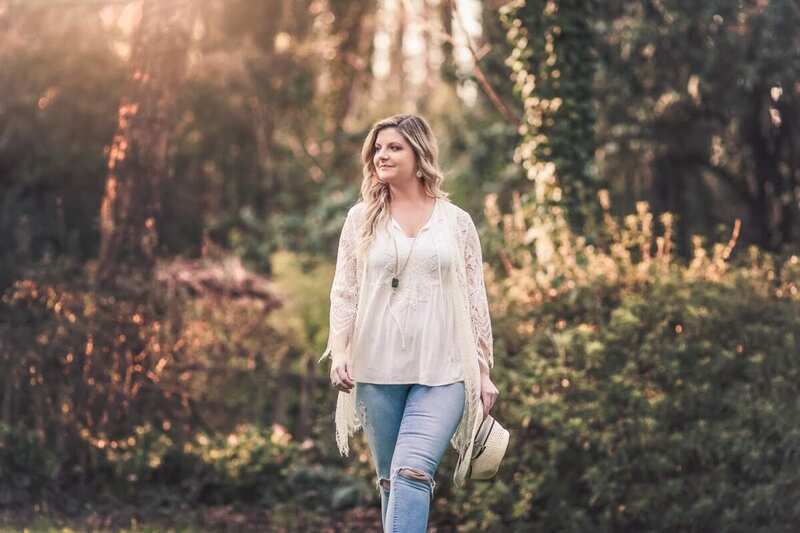 I had boho and farmhouse and glam and industrial and every kind of decorating style you could imagine crammed into my little room planning folders. And. I. was. so. overwhelmed! I wasted so much money doing the trial and error thing for a while buying things that weren’t “me” because I didn’t take the time to really decide what my style actually was. Is this familiar to you? Have you gone through the identity crisis thing? If not, click that little “x” in the corner because this post isn’t for you. If you have, settle in, friend, because I feel ya, and I hope this helps in some way so that you don’t keep making the same mistakes over and over. 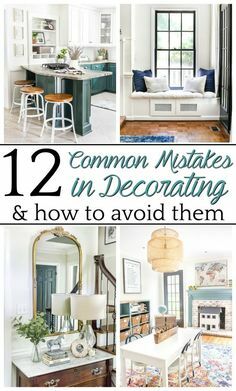 Out of all of the thrift projects I’ve done, furniture makeovers I’ve finished, room redesigns we’ve pulled off, the best money-saving advice I can ever give you is this: If you don’t figure out your decorating style first, you will never be totally happy with your home, and you will waste so much time and money trying to work backwards. 1. 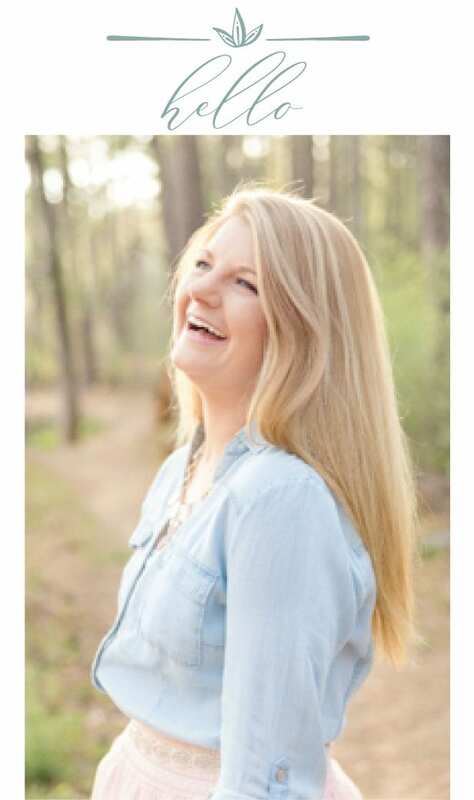 Look for commonalities among your inspiration photos. 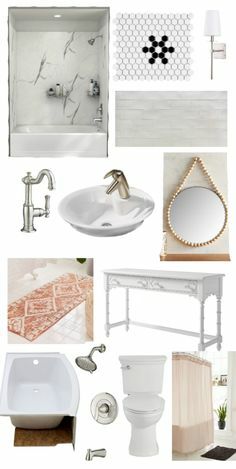 When I first tried to figure out my style, I looked through my home inspiration Pinterest boards to try and decipher traits many of them had in common. Boom! That was me in a nutshell. 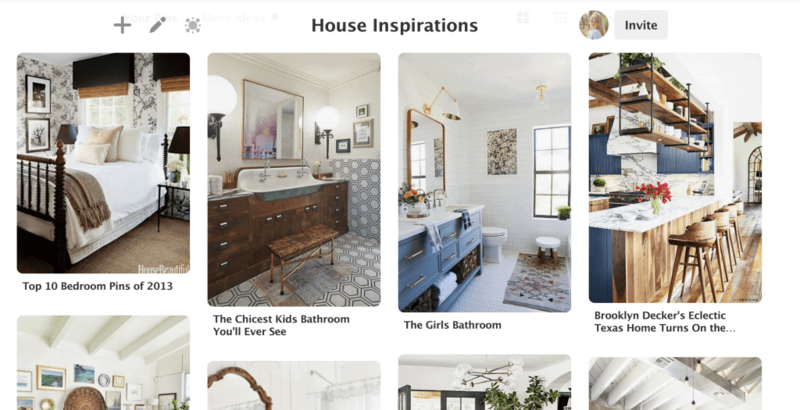 And I’m betting, if your Pinterest boards feel all over the place, that they actually have a lot of similarities that will point you in the right direction for your home’s “game plan”. 2. Check out your own wardrobe. When I looked through my closet and sifted through some of my favorite clothing pieces, I found the same thing I’d discovered in the commonalities among my inspiration photos: natural fabrics, textured details like fringe and lace, simple fabric prints (if any at all), and neutral colors with hints of blue and green mingled in. I’m a jeans and simple T-shirt or light blouse kind of girl with casual booties or sandals. That’s my comfort zone. If you love bright colors and fun patterns and sequins and glitz, embrace that same style in your home! Because that is YOU! 3. Examine your home’s architectural style. If your house already has some character, make it shine. If you live in a midcentury modern house, mingle in some midcentury mod furniture. 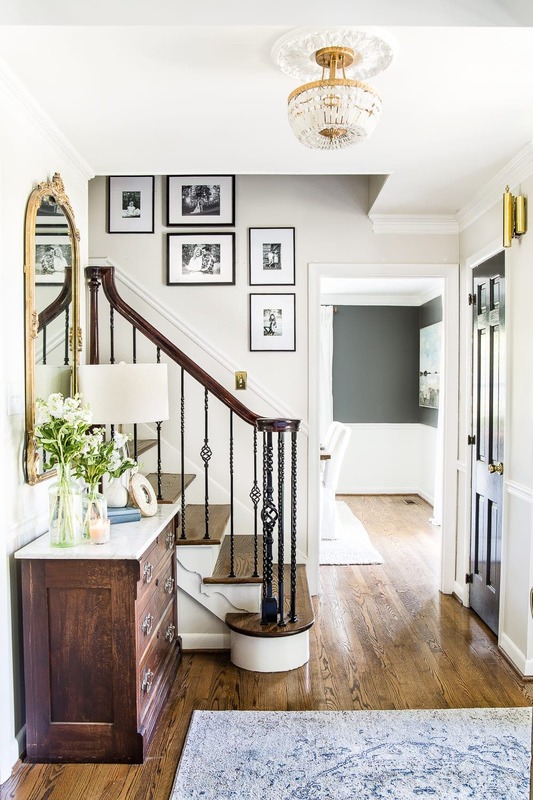 If you have a more traditional home, lean traditional in maybe your light fixtures. 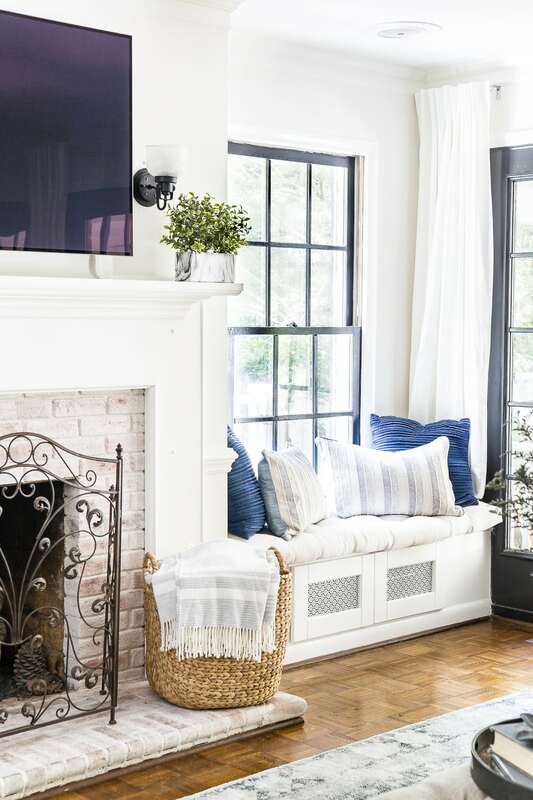 You don’t have to totally box yourself into one type of decorating style just because your house’s already established architectural style dictates that. Just throw in a nod to it and it’ll feel like it fits. 4. Consider your and your family’s lifestyle. 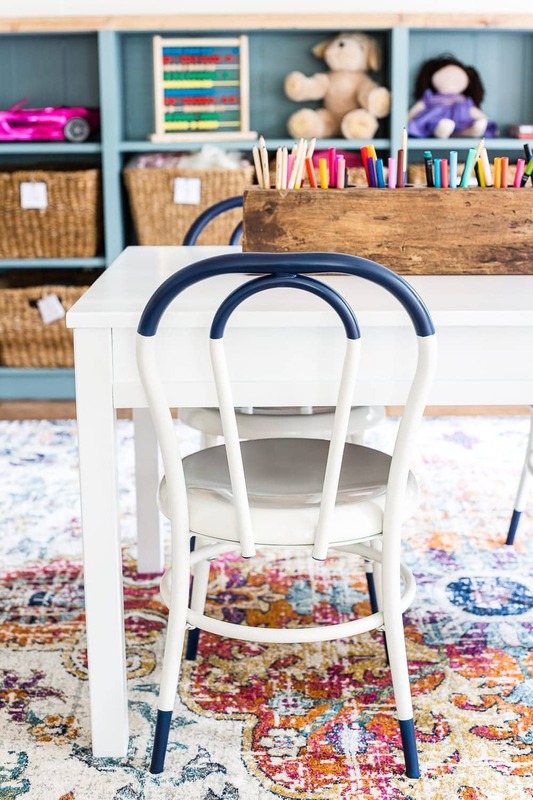 We are a laid back bunch with little kids, so it makes sense for our family to have weathered tables that the kids can scuff up, slipcovered furniture that can be cleaned up in the wash, and vintage style rugs that hide stains really well. 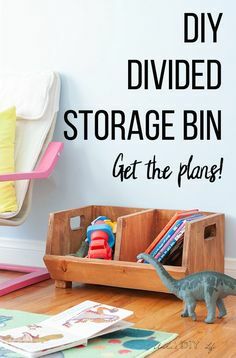 Think about how your family functions, what your storage needs are, how you use each room in your home daily to decide what to do with it. 5. Think about what decor you already have and KonMari it. Pick up each piece of decor (candle holder, throw pillow, vase, whatever) you have in your stash, one at a time, and if it doesn’t “spark joy”, right in the donation pile it goes. Don’t waste time and money trying to make your existing decor work (only do that, if you really do love your existing pieces). Have a yard sale or sell it on Facebook marketplace and use that money to buy decor that does spark joy for you. 6. Decide what feeling you want your home to have as soon as you walk in. 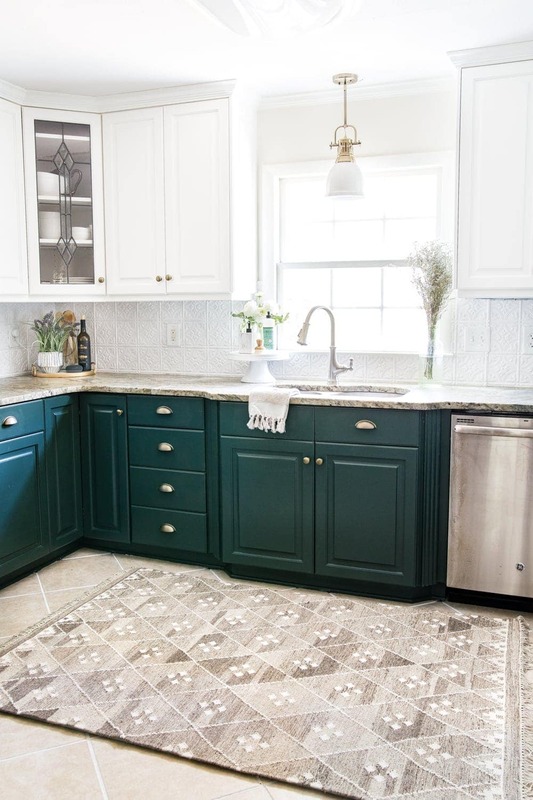 When I come home, I want to feel peace and calm, so it makes sense that I stick to soothing blues and greens and accents that are more nature inspired. 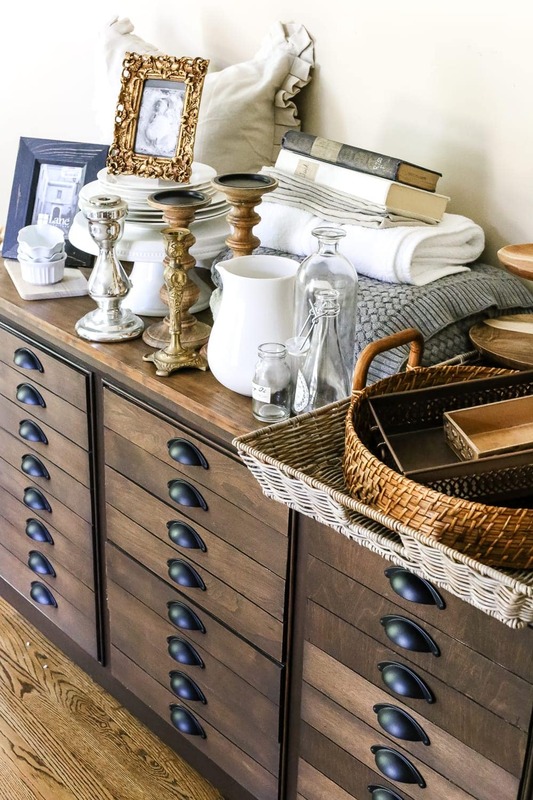 But maybe you want your home to feel energetic and upbeat or nostalgic with eclectic collections. 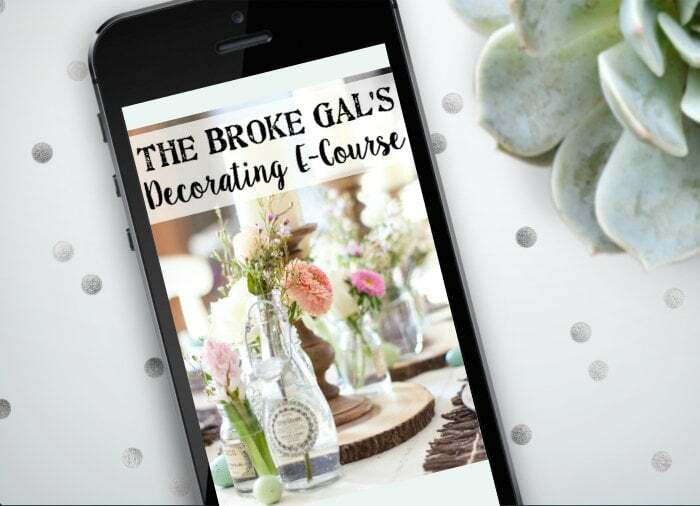 If you want more decorating guidance, you can subscribe and join the Bless’er House Budget Decorating Group. If you’ve been struggling with the style soul-searching, I hope this helped steer you a bit, at least. I’m no Martha Stewart, but finding my style was the best thing I ever did to finally get some clarity and confidence on this decorating journey. Love this post – this is some great advice. I also know what works for me, but could never put a name to my style. I just realised that I don’t need to “name” my style if I sum up my likes/design elements as you did! Thanks! You are so spot on with taking stock of those looks that you like to help pinpoint your style. I have an “Art” section on my Pinterest account that, when I reviewed one day, completely blew my mind. It’s full of bright and contrasting color. My house has always been the opposite. 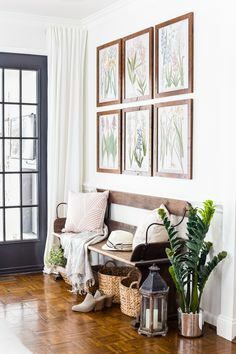 Dark wood, beige walls, white cabinets, ironstone, black and white photography, etc…..So, I took a chance, ordered a really colorful print, framed it in black and hung it above a black bench with a drop cloth upholstered seat in my entryway. I could not love it more. I guess décor is like other things in life. You have to kiss a few frogs before you find a prince? Aw I love that!!! And couldn’t agree more. 🙂 Well said. Perfect post for me as I move into a new “old” house. Oh, no!! That is tricky. I am not sure how to direct you. Where on the link are you clicking. Try clicking directly on the part that says ‘Pin’. This is a simple way to step back and see clearly. 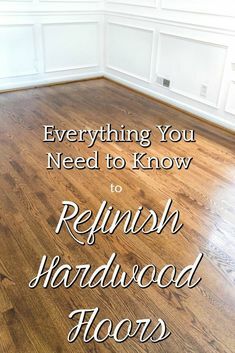 My problem now is I have a clear vision of what I want but I’m not sure how to transition my whole house without it looking miss matched until completion. I had this same problem. I, at times, would want to throw it all out and start all over. But usually, if I work on only one room at a time before starting a new room, that helps. What a fab post, thank you. I’ve so many boards on my Pinterest that it is overwhelming. However looking at them now with a new eye, I go for making a room as light as possible whilst still keeping it warm with accents of green, and blue. Living in Scotland the winters are dark and I can’t bear it being dark in a room during the day without the winters making it worse. I’ve used Farrow and Ball colours which give colour without sapping light. I totally get it! I feel the same way about winter too. It is so amazing how decorating a room can totally change your mood. Also… I’m kind of fan-girling over the fact that you live in Scotland. Great post and excellent advice! 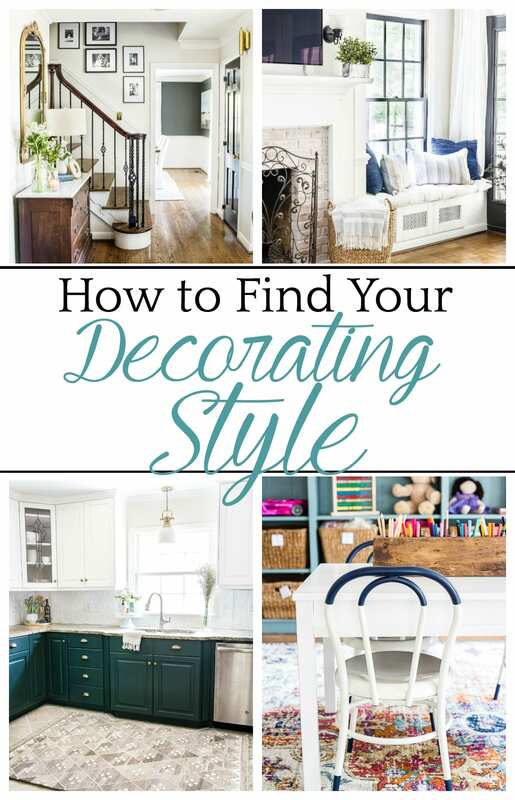 I’ve gone through many phases over the years with my decorating, but I have also discovered that there are certain elements I have always love. Inwasn’t Quite spossibly Ute what t call my type either, but between reading my favorite decorating books and looking at room photos on Pinterest, I’ve decided my style could be called “Casual European Country Cottage”, or maybe “Cozy Grandma’s House”, lol, because I love vintage/antique items, warm colors, lots of texture, and solid classic furniture pieces. Haha! Honestly, I’ve seen some REALLY beautiful “cozy grandma’s house” styles out there. You keep on rockin’ it! I never thought about the clothing idea, but that makes total sense!! Great advice! Thank you! I’ve moved so much in the past 10 years things I didn’t LOVE were gotten rid of, because frankly, packing and unpacking stinks, but, it sure helped clear out some stuff :). Now, if I don’t love it, I don’t bring it home. I just went through a move after a looong time of living in our old place. I was able to get rid of lots of things I hadn’t dealt with (looked at, lol) for years! I’m really in the mindset of bringing nothing into my new house that I don’t love!